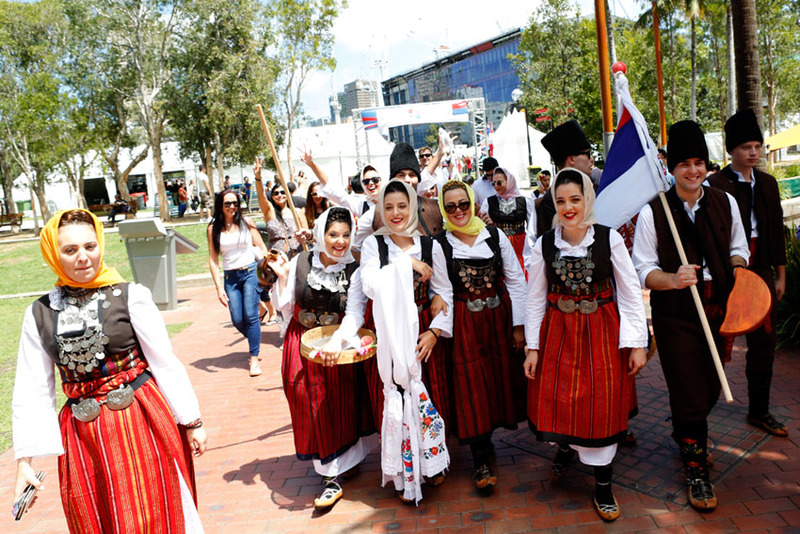 The fourth annual Serbian Festival was held on the 6th and 7th February 2016, at one of Sydney’s main tourist destinations Darling Harbor, Tumbalong Park, organized by the Serbian Orthodox Youth Association (SOYA) from Sydney, sponsored by the Serbian Orthodox Church Metropolitante of Australia and New Zealand and many other sponsors. 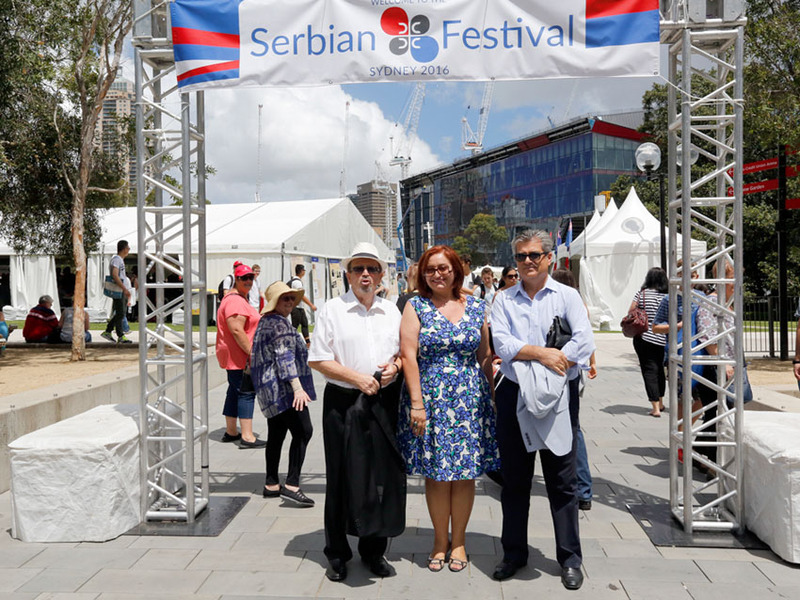 Commonly referred to as “the Biggest Serbian Festival in the southern hemisphere” this year’s festival again brought together many distinguished guests and the Serbian Diaspora. This event, which combines culture, tradition and identity of Serbian people in this region, has enormous potential to showcase Serbia to the largest audience in Sydney. According to the Darling Harbor statistical information, there were more than 50,000 visitors at this year’s two day festival. The Festival’s cultural and entertainment program included performances by many folkloric groups, singers and musicians, all with a common goal to promote Serbia in Australia. At the display and food stands, visitors could purchase arts and crafts, books, souvenirs, national costumes or simply observe displays and read about the Serbian faith and national traditions. Like last year, visitors this year were able to enjoy burek and barbecue culinary specialties with Serbian wine, beer and rakija. This year in particular the festival included an exhibition about the Serbian scientist Milutin Milankovic, organised by the Serbian Embassy in Canberra, as well as the presence of Serbian Rugby players who had their own promotional stand with team caps and jerseys. At the formal opening ceremony guests were addressed by Miroljub Petrovic, Ambassador of the Republic of Serbia, and David Clarke MP, a friend of Serbia and Serbian community in Australia, representing the Australian Government. In closing His Grace the Right Reverend Irinej, Bishop of the Metropolitanate of Australia and New Zealand thanked the organizers, firstly the festival director Dimitrije Grasar and all members of SOYA for their excellent organization, as well as many sponsors and volunteers. 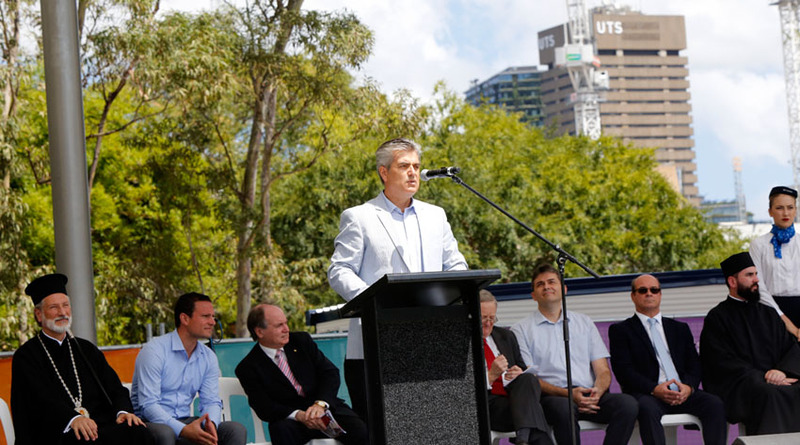 Also present at the opening ceremony were Consul General of Serbia Branko Radosevic, Consul Branislav Grbic, General Director of “Air Serbia” Mr. Dane Kondic, and his representative in Australia Stevan Sipka, Paul Lynch MP for Liverpool, Venue Sales Manager of Sydney Harbor Foreshore Authority, Brendan Burke, SOYA president Ilija Perac, representatives of the Serbian Orthodox Church and other guests.